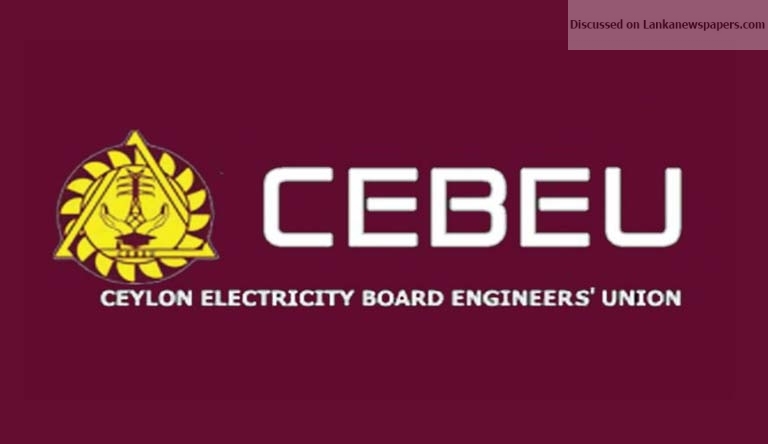 The Ceylon Electricity Board Engineers Union (CEBEU) had asked its members to be wary of making payments, amounting to Rs. 840 million, to ACE Embilipitiya Power Plant for the electricity CEB purchased after April 05, 2018, CEBEU President Saumya Kumarawadu told The Island yesterday. Earlier this week Secretary to the Ministry of Power, Suren Batagoda instructed the Chairman and the General Manager of the Ceylon Electricity Board to settle outstanding payments, to the tune of Rs. 840 mn, to ACE Power Embilipitiya. Kumarawadu said: “This is a complicated matter. The power plant is needed to supply electricity to the South. But we think that we could have got a better deal if the Secretary to the Ministry of Power, Suren Batagoda wrote to the Chairman and the General Manager of the Ceylon Electricity Board, on July 17, in violation of the provisions of the Sri Lanka Electricity Act, asking them to settle any outstanding payment, estimated to be Rs. 840 million, to the investor of the controversial ACE Power Embilipitiya. Batagoda, however, adds in the letter that the Sri Lanka Electricity Act has no provisions for extension of contract of existing Independent Power Producer (IPP). Batagoda has sent the letter, though Deputy General Manager, Energy Purchases, Sujeewa Abeywickrama, has pointed out that the CEB would suffer colossal losses if it keeps procuring power from ACE Power Embilipitiya. Abeywickrama was interdicted earlier this month for ‘insubordination’. In February this year, in a letter to the AGM transmission, Abeywickrama pointed out that the CEB had already paid the owners of ACE Power Embilipitiya enough money to cover the capital investments. There are two main components of costs as regards electricity production, i.e. capital costs and fixed overheads with capital costs being the most substantial. If the CEB had paid the capital costs, it should have renegotiated the agreement so that the price for a unit of energy could be considerably reduced. Instead, the CEB signed an agreement with the owners of the power plant, receiving only five percent discount, CEB engineers said.